Coaching soccer is a worthwhile venture for any one interested in pursuing the craft. For young people it provides several benefits. Some obvious, and some not so obvious. The most obvious benefit is when you get good at coaching there is an opportunity to be paid for your time, particularly for quality work. Being a coach at your age can be done when you are not in school and when you are not training or playing with your own team. It is also a good way to earn an income while you are in college because again it is done generally evenings and weekends. The not so obvious benefit. It is said one the best ways to learn is to teach. Many coaches who have come before you have taken multiple coaching courses offered by US Soccer, United Soccer Coaches and various soccer governing bodies around the world. All of us have learned to be a better player from taking the courses. You gain insight in to how the game is taught, which enhances your own insight on how to play, and with even more confidence. I became a better player after taking all of my licenses. I only wish that path would have been offered when I was in high school, then my playing career would have certainly been even better. Upon completion of our Coaching Apprentice Program you will be in a position to gain both. Valuable insight on how to play better, and to be paid to help us coach the younger players in the club. Upon doing quality work you will also gain mentors, friends and fellow passionate soccer people who will be in your corner the rest of your playing career and into your future coaching career. High School aged players who are members of BSC will be eligible. Each player will take part in an Introduction to the Fundamentals of Coaching course offered by the club. This brief and easily absorbable course will be free to each apprentice candidate. At the conclusion of that course each player will be eligible to begin the an apprenticeship coaching position within BSC. Each Apprentice Coach (AC) will be mentored by BSC Directors and BSC Staff coaches. Each AC will be required to complete a minimal and minimum number of volunteer hours coaching in BSC to be eligible to be paid to help coach in BSC. Those hours may also be used for community service requirements if desired by each AC. Once the minimum number of volunteer hours are satisfied each AC will be eligible to be paid to help coach within BSC. We would then want to schedule each AC to work as many hours as they would like and we have available. Additional Benefits to each AC upon completing the volunteer hours are guaranteed Reference from one of the BSC Directors for any employment opportunity, internship or academic program that requires a reference. Possible recommendation letter for future employment opportunities outside of BSC. 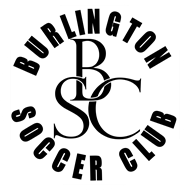 Check out this Soccer class 'Learn To Coach - BSC Coaching Apprenticeship Program - For High School Aged Players' with Burlington Soccer Club!